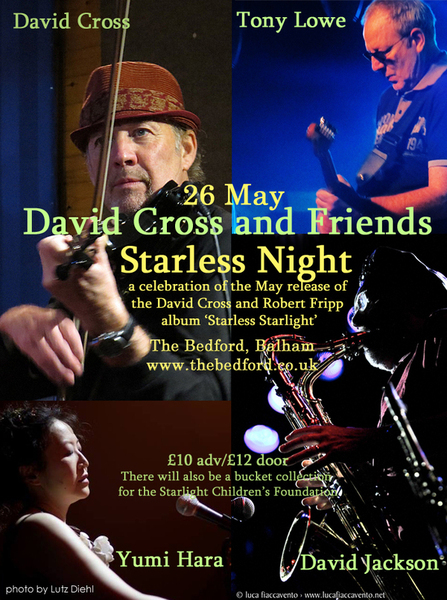 Starless Night is a celebration of the May release of the David Cross and Robert Fripp album ‘Starless Starlight’ (Noisy Records NOISY 007). The story of ‘Starless Starlight’ is that of a short melody composed by David Cross and Robert Fripp that emerged as one of the key themes of the King Crimson song ‘Starless’ (1974). The tune resurfaced in two improvisations performed and recorded by Fripp at Blueberry Hill, St Louis in 2006. These recordings and the theme itself were then transformed by David Cross (and co-producer Tony Lowe) into the album ‘Starless Starlight’. 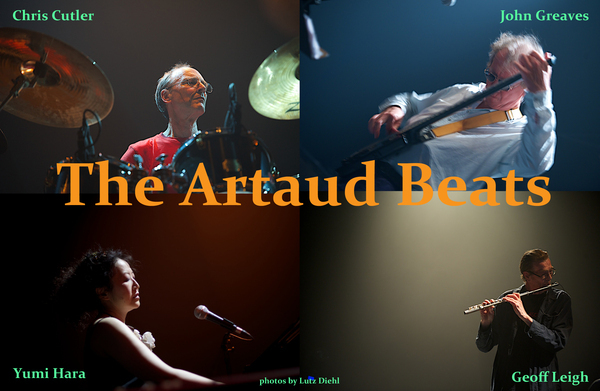 Yumi Hara (The Artaud Beats) , David Jackson (ex-Van der Graaf Generator) and Tony Lowe (Producer\ Guitarist) will join David Cross (ex-King Crimson) in performing new versions of music from this album and, in keeping with the spirit of this venture, will individually and collectively devise, compose and otherwise create original new interpretations of the Starless theme – the brief is broad and the musicians are up to the task. Anything could happen... and probably will – expect the unexpected! David Cross is an internationally respected rock musician and improviser with a discography of more than 40 albums. David was a member of the legendary ‘Larks’ Tongues’ version of King Crimson and has performed in Europe, USA and Japan. 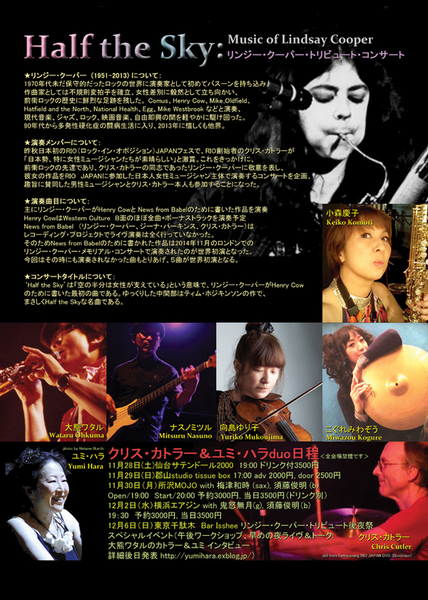 In recent years he has performed at Athens Conservatory of Music, at festivals in Poland and Italy and most recently (April 2015) with Stick Men in Japan. David Jackson was in Van der Graaf Generator for a long time! After much acclaim and recognition, Melody Maker christened him ‘The Van Gogh of the Saxophone’ way back in 1971. He has also played with Peter Gabriel, Peter Hammill and Keith Tippett and released many solo albums. David is also well known for his mastery of Soundbeam and his international work in the field of music and disability. After Tomorrow’s World in 1997, the BBC christened him ‘The Soundbeam Guru! Massive VdGG success in Italy still means regular recording and live spots with Italian Progressive Rock Bands in Europe, America and Asia. 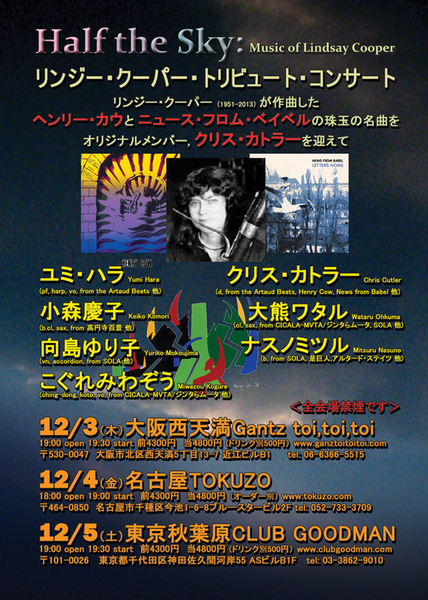 Osanna, Aldo Tagliapietra, Alex Carpani Band, ReaGente 6, Playing The History, Pandora and Twinscapes are very recent associates. It was at such a Prog Festival in Verona in 2010 that DJ met David Cross on stage for an emergency duo set. The rest is history. Cross & Jackson’s first band album is due for release in 2015. It will be such a thrill for DJ to join this exciting band and add his own interpretations of the Cross masterpiece at the ‘Starless Starlight’ concert in Balham. Tony Lowe is a Producer\Guitarist and Creative Director at Sunn Creative. An independent record label and media production company formed by Cheryl Stringall in 2011. Tony has produced records by Simon Townshend, David Cross & Robert Fripp, John Foxx, Toyah, Bram Stoker, Yumi Hara Cawkwell and Chris Gray. Played guitar with Simon Townshend, Roger Daltrey, David Cross, Julian Lennon, Pet Shop Boys, Modern English, Bram Stoker, Flying Colours and Julien Clerc. Tony is producing, playing, and writing for a number of different projects. He released ‘Human Sleeping’ in 2014 with Alison Fleming and has recently co produced the new album by David Cross and Robert Fripp of King Crimson called 'Starless Starlight'. Tony is currently writing the music for the ESP project which will include Mark Brzezicki, David Cross, John Young, Phil Spalding, Simon Townshend, John Beagley, Alison Fleming and Pat Orchard among others on an album release next November. From Ynys Allen: Daevid Allen has passed on. He left today, this Friday the Thirteenth, at 1:08pm. Jump for Joy! 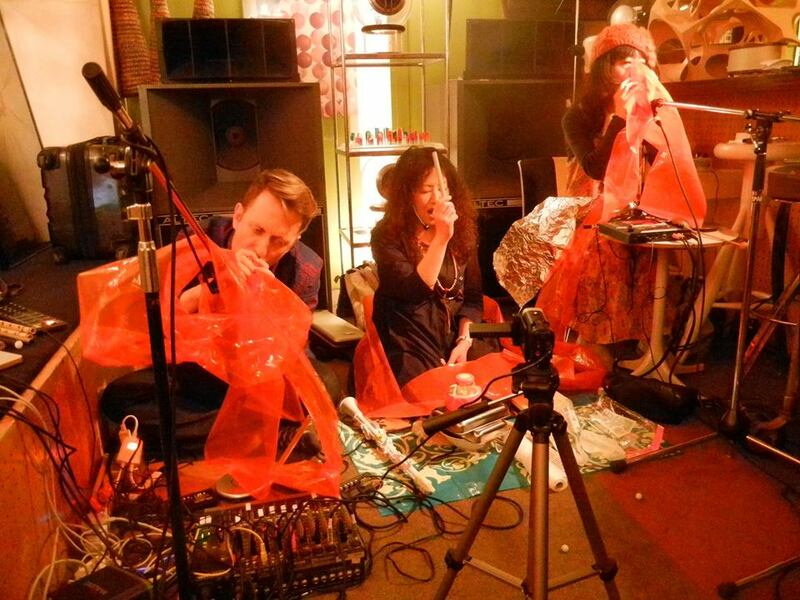 band: Jean-Hervé Peron, Zappi W. Diermaier, Geraldine Swayne, Chris Cutler, Geoff Leigh, and Yumi Hara. 2014 you me & ..